Continuity is an essential element of a successful business. That’s why we decided to help you step up your game and never miss a beat. 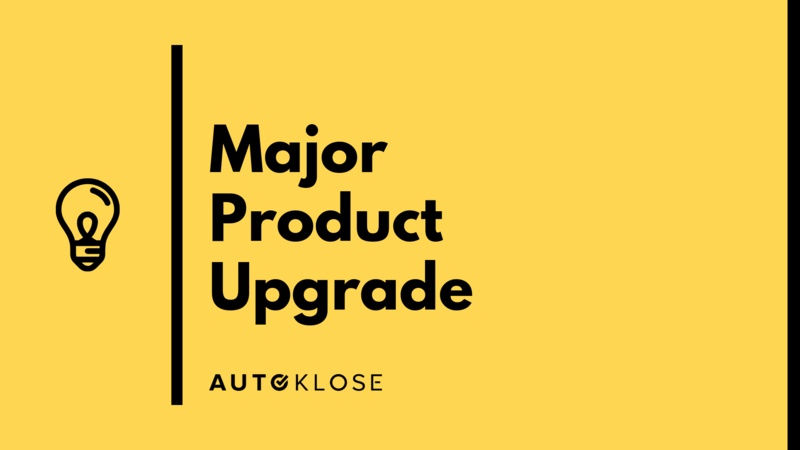 Autoklose got a new, major update which will allow you to run your campaigns and harvest fresh leads. All the time. Non-stop. The sky’s the limit! On October 4th & 11th, we will run an exclusive webinar covering these points, at 1 PM Eastern Time (USA/Canada). We used to allow you to pick only one contact source per campaign. The fact that there are several different contact sources made us sad about the whole thing. We understand that it was impossible to create a campaign from various sources and unlock the full potential of Autoklose. That’s why we decided to perform a major upgrade and unify all these campaign types into a single one. The goal is only one — improving your success rate. From now on Autoklose allows you to add contacts from different sources to your campaigns (definitely not sad anymore). access our Data Unlimited feature which gives you access to a huge database packed with millions of verified and regularly updated contacts. All these options provide you with tremendous opportunities to target ideal prospects, engage them in a unique way, and grow your business. Update your reports at any time. The idea behind always running campaigns is that each and every campaign can be restarted by adding new contacts. 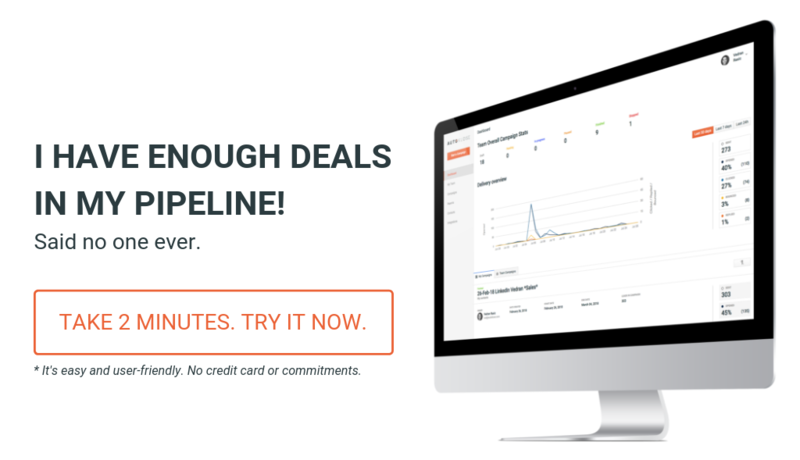 You used to A/B test to find your best copy and sales cadence for a specific niche. Right? Then you used to save that winning campaign to your Autoklose Templates. Every time you wanted to restart it or repeat that same campaign, you had to go and start a new campaign. From now on, all of your campaigns are literally always “waiting” for you to add new contacts (or a single one) so that they could start prospecting for you (Yes – our campaigns turned out to be very smart! Good for them – Good for you). But what that also means is that you can use Zapier to link Autoklose to your web forms or your CRM of choice. As soon as a new contact is added to your web form or CRM software of choice, it will ping Zapier and the contact(s) get(s) pushed to Autoklose Campaigns. Now, hold on. This got too technical for me. Your marketing worked hard to bring a good, qualified visitor to your website. The visitor fills out a form. They are sent to your CRM. As soon as a new contact landed into your CRM, they became part of a specific campaign in Autoklose… and we all know that a campaign in Autoklose means a sequence of email follow-ups. Now, Autoklose will follow up with your contact until they book a meeting in your calendar (or whatever your goal is). After that event happens, they’ll be removed from the campaign. You can repeat the process as long as you want and in any other use case that you can think of. Keep the structure of your campaign intact, meaning that the predefined follow-up intervals will be maintained throughout the campaign for every contact, even for the ones added after the campaign started. Draft — You click “start a campaign”. In Progress — Start date is in the past and there are pending recipients. Paused — You pause a campaign. Even if you add a recipient, the campaign won’t start until you unpause it. Finished — Start date is in the past and there are no pending recipients. The moment you add a recipient, it turns into an In Progress campaign. Under the hood & the next steps! As much as this seems logical (we think so, too), it took us a lot of heavy lifting to make this upgrade happen at the back end of our system. We will keep on developing this feature and you can expect lots of new perks and automation functionalities being rolled out monthly. Please join us, this and the following Thursday the 4th and 11th of October, we will run an exclusive webinar covering these points, at 1 PM Eastern Time (USA/Canada). If you are not using Autoklose to Klose like a pro, the question is, what are you waiting for? Get inside this F1 Sales formula, get tons of actually clean and verified contacts and start growing your business now.